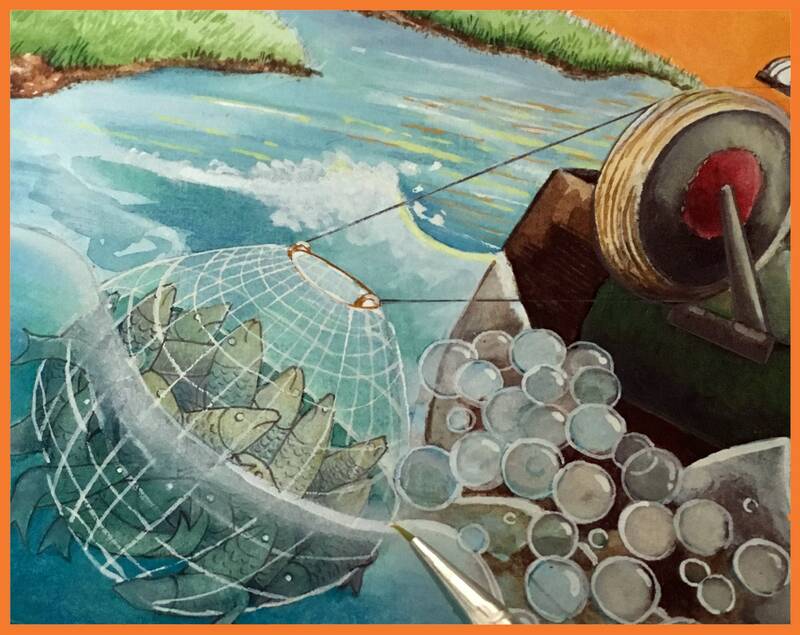 Meet The Lake Snatcher - fish catcher extraordinaire! 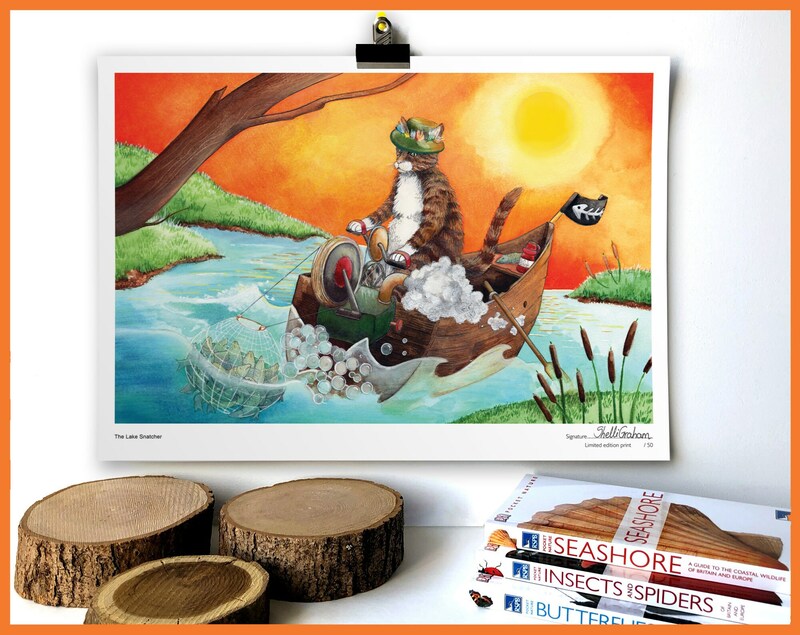 This fishing themed, steampunk cat print will make a funny cat gift for the crazy cat lady in your life! 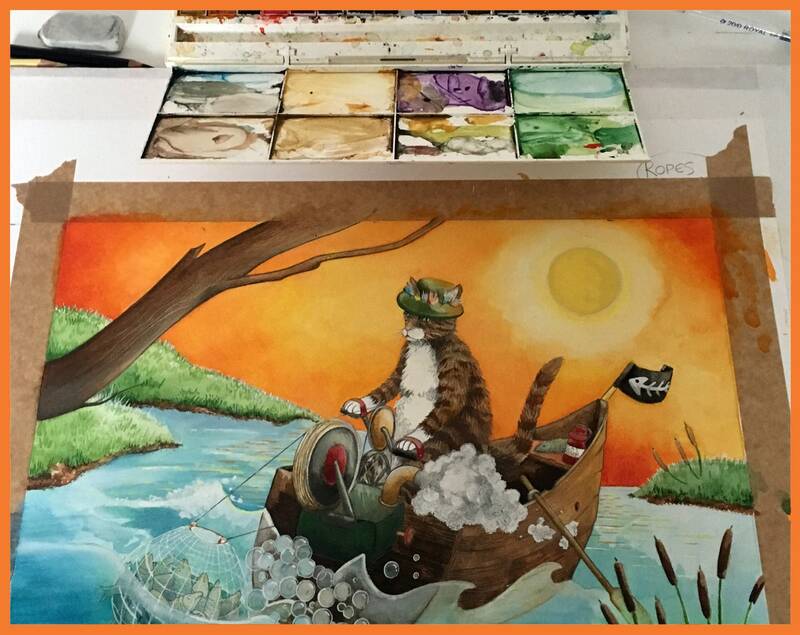 This whimsical cat print features a tabby cat whose 'Gone Fishing'. 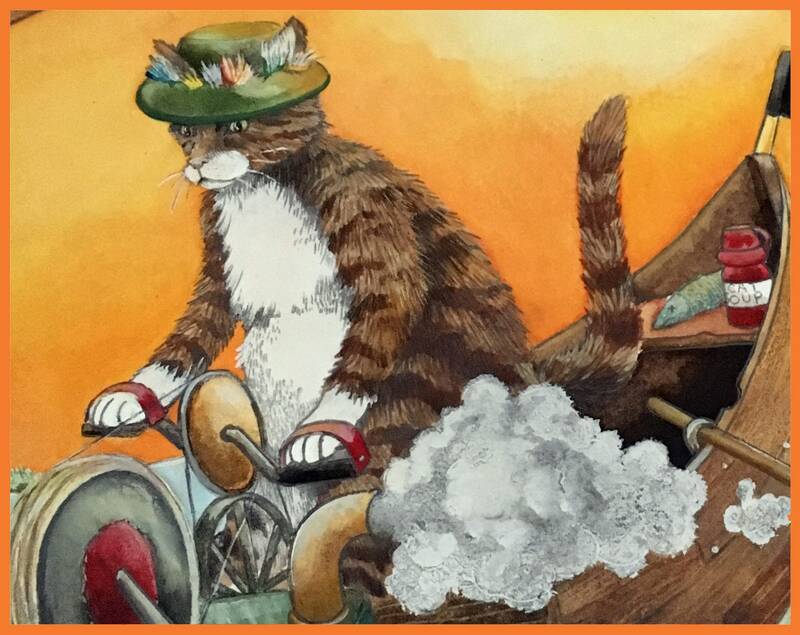 The original cat illustration was created using coloured pencils and water colour. 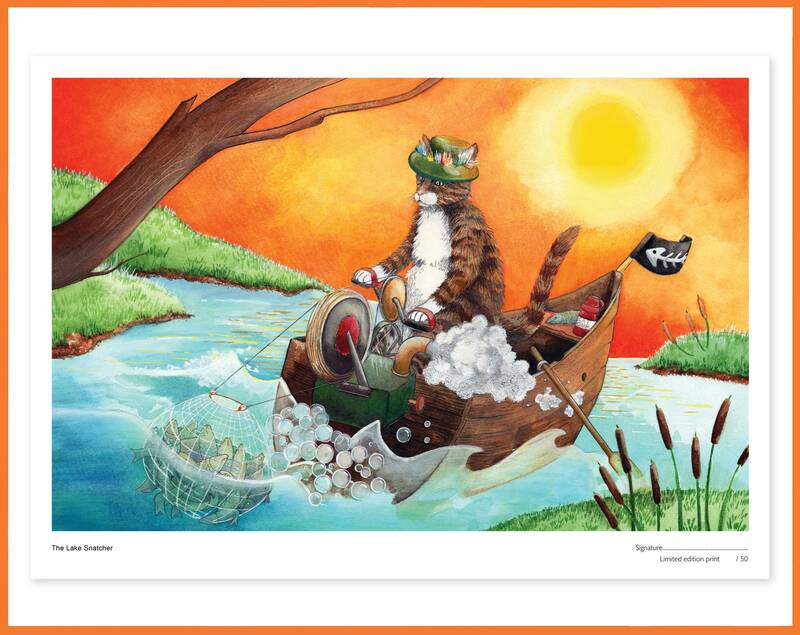 This is a high quality print on 240gsm Matt, fine art paper, of the original illustration.